Now that much of the foreign policy dust has settled, I think it’s time to explain the method to Duterte’s foreign policy madness of the past several months. 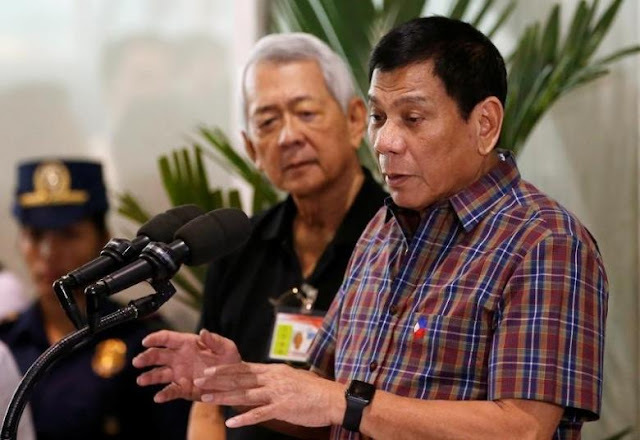 Both foreign and local political commentators have described Philippine President Rodrigo Duterte’s foreign policy as “uncertain” [Reuters]. Even former Philippine Foreign Secretary Albert del Rosario, a sell out, has described the maverick mayor’s foreign policy as “difficult to comprehend” [GMA]. I think I agree with the Philippine Star’s Edith Regalado when she said that “Duterte keeps people guessing on foreign policy” [Star]. I think the best way to understand Duterte’s strategy is by taking the term “foreign policy realignment” to heart. Instead of thinking about Duterte’s policy as a series of tweaks to a mostly a pro-American Philippines, we need to examine his actions as an emancipation from American control. No, we cannot possibly be free from American influence, but yes, we can be free from American control. Duterte has made it very clear that he feels that the Philippines has historically received the shorter end of the stick in its relations with the United States. This not without justification. Right after we gained independence after the Second World War, the Americans, with the support of Pres. Manuel Roxas and the Liberal Party-controlled Philippine Congress, passed the Bell Trade Act. This Philippine Law gave Americans economic rights equal to that of local citizens [Shalom 1980], to the disadvantage of Filipinos. After Roxas' suddenly death, his successor Quirino, also from the Liberal Party (LP), simply continued whatever Roxas’ Pro-American policy was. Through the Bell Trade Act, the US enjoyed zero tariffs on its exports to the Philippines, which is what the US demanded in exchange for war reparations [Schermer 1987, p.94]. The Bell Trade Act greatly damaged the local economy as our imports exceeded our exports, making us heavily dependent on loans and foreign aid to finance the gap [SONA 1959]. The 1950s was the height of the Second Red Scare in mainland US. Fearing a communist takeover by Central Luzon’s Hukbalahap, an insurgency that the Liberal Party-led national government failed to quell, the United States decided to actively catapult populist leader Ramon Magsaysay to the presidency, shielding him from the dangers associated with antagonizing reelectionist Quirino. Magsaysay really had a heart for the people, and he instituted reforms that would have otherwise been impossible under any other president at the time. The US, however, was concerned only about the Huks rebellion. Thus, US support for Magsaysay since 1950 “virtually evaporated overnight” in 1954, after Magsaysay’s successful suppression of the communist Huks [Lembke 2001, p. 85-87]. And we all know how Magsaysay died shortly thereafter. It'd take days to enumerate and elaborate every single lopsided deal that the Philippines got, so let’s fast forward to the 2010s, where we heard yet another remix of the same old tune. Clinton was referring to the 1951 Mutual Defense Treaty. In 2013, the US State Sec. Chuck Hagel emphazised the importance of the Philippines as a treaty ally and reaffirmed the United States commitment to the Mutual Defense Treaty [Inq]. In a 2014 press statement, US State Department spokesperson Marie Haff reiterated America’s support for the Philippines in the latter’s arbitration case against China [DoS]. Alright, I believe it’s clear that the US affirmed military support for us for all of the five years preceding 2016. And then the time came for the Americans to keep true to their word. On 05 July 2016, Chinese state-run broadsheet Global Times’ editorial entitled “Power game decides post-arbitration order” warned of military conflict in the South China Sea should the United States intervene in the South China Sea after the arbitral award [GT]. The Americans chickened out, so Philippine President Rodrigo Duterte was stuck between a rock and a hard place. Every political analyst worth his or her salt have expected this scenario: there’s just no way the US will risk the current world order just for the Philippines’ sake. Duterte and his people knew this long before that fateful day. The operative word here is “bilateral”, i.e. involving two parties, i.e. direct PH-China talks. This is in stark contrast with the Aquino Administration’s call for “multilateral” talks, which includes ASEAN countries, something that China blatantly rejected the whole while [WSJ]. On that same day, Duterte managed to gain a certain level of trust from the Chinese Government, something that's totally absent during the Aquino Regime. So far, so good. But that’s just step one. Even if China is a communist-authoritarian country, the fact remains that public opinion is still a factor in government decision making. Civil unrest, you know, so Duterte proceeded with step two. Duterte still chose to hedge his bets up to late June. He wanted to make sure that he fully understands the United States’ real stance on the South China Sea issue before he crosses the point of no return or in his own words, before he “crosses the Rubicon”. And being the brutally frank leader that he is, Duterte asked US Ambassador Goldberg on 21 June 2016, “Are you with us or are you not with us?,” and Goldberg responded that the U.S. would only support the Philippines if it was “attacked” [AC]. Duterte want no bloodshed, despite the calls of the opposition for a bloodier stance. Goldberg’s reply, while reassuring at first glance, actually implies that the US will not help enforce the arbitral decision, because the Philippines has yet to be attacked. Basically, the US will wait for one of us to die first before they take action. For Duterte, that isn't good enough. Yes, the US chickened out. The ambassador showed that the US definitively chickened out. Duterte, along with Foreign Sec. Yasay and Senator Alan Peter Cayetano, probably knew about how Goldberg will respond: they wanted to catch the fish by the mouth. Now that Duterte has made it clear to him and to the Filipino public that the US won’t be there to help, he proceeded to step three. While all these were happening, Chinese state-owned media has started to soften its anti-Filipino rhetoric. In as early as 25 May 2016, the Global Times published an surprisingly optimistically-worded report saying that some local Filipino journalists are trying to bridge the PH-China gap [GT]. Several days later, Chinese state-owned Xinhua News reported “Duterte government may reopen door to China-Philippines dialogue [GT]”. Yes, the Chinese Government is starting to make the Chinese public to be more receptive of the incoming Duterte Administration’s foreign policy efforts. At this point, Duterte has already gained some trust from the Chinese Government. However, having the Chinese Government’s ear and having the Chinese Public’s are two different things. Anti-Filipino rhetoric flooded Chinese media for years as a result of the arbitration case. Despite the recent barrage of pro-Filipino news on the mainland, it’s still safe to say that anti-Filipino sentiment in the mainland runs high. Duterte had to find a way to quickly and effectively tell the Chinese Public that he’s really serious about striking a truce, and hopefully before July 12th decision, the time when the angry Chinese Public may start asking for his head. What did Duterte do? A series of calculated actions. Chinese media, with a bit of help from Duterte, was basically building up the old man's image as a peacemaker. You may notice that all the references I used in the previous paragraph are Chinese websites. That’s because I want to point out that both Chinese and Philippines governments are trying their best to make the latter’s image more palatable for the mainland. But that isn’t enough: Duterte has to make sure that the Chinese People get the impression that he’s sincere about his intentions and that he is not hedging anymore. To the horror of the Americans and to the delight of the Chinese, Duterte on 09 July 2016 said the US “imported terrorism” [Xinhua-GT], sending shockwaves throughout the the world. We can debate on that claim, but what’s clear is that Duterte sent a message to the Chinese public that he will burn bridges with America. As to whether he’ll actually burn bridges is another story: all he needs to do right now is make the Chinese public like him more. Then came arbitral decision on 12 July 2016, and Duterte kept true to his word [TP: Yasay’s Face]. So far, so good. For better or for worse, Duterte is a 21st century populist Machiavelli. To mend ties, Duterte had to visit China after the arbitral award: there’s no question about it. But he cannot visit just yet because the decision is still a hot topic on both Chinese and Philippine Media. It had to die down first. To accelerate the process, Duterte capitalized on his massive political capital – a 91 percent July trust rating – to condition the minds of Filipino, to make them more receptive to China. He talked about China donating drug rehabilitation centers [Reuters], he mentioned our need for peace, and he even had the balls to joke about it during one of his speeches while in front of Ambassador Zhao. Duterte directly addresses Chinese Ambassador at the end of his National Heroes' Day Speech. On the Chinese front, Duterte “endeared” himself to the Chinese public by launching more tirades against the United States. This includes the “son of a b*tch” comment against Obama, which led to the cancellation of their meeting [DailyMail]. This includes Duterte’s reminder of the Bud Dajo Massacre [Sun.Star]. And he even told Obama to “go to hell” [AP]. it will surely alienate us from Japan and the West and that's realllllllly bad. it may alienate us from some of our ASEAN neighbors like Vietnam (which has territorial disputes with China [Forbes]) and Singapore (who’s trying to balance its relations with China and the United States [Time]). So how did Duterte solve this? He spoke with his ASEAN neighbors one by one before going to China. SINGAPORE: In early September, Duterte spoke with Singaporean PM Lee Hsien Loong during the ASEAN Summit in Vientiane [ST]. I think it’s safe to say that he basically told Lee what Lee needed to hear so that Lee won’t freak out over the China visit. INDONESIA: After the ASEAN summit, Duterte then visited Indonesia [CNN], and he must have done the same thing he did with the Singaporean PM, especially since Indonesia is neutral-to-negative per the Natuna Islands issue [Guardian]. VIETNAM: In late September, Duterte visited Vietnam, who’s at odds with China over the Paracel Islands, i.e. our neighbor with a problem that’s similar to ours [Reuters]. It’s safe to say that he must have assured Vietnam that he will be taking a path that’s similar to Vietnam, and not totally sell his country out to the Chinese. That should assuage any fears that Vietnam may be holding up to that point. LAOS, CAMBODIA, MYANMAR, and THAILAND are mostly pro-China, so there’s little to explain to them. Last two to talk to: Brunei and Malaysia. MALAYSIA: Duterte wanted to visit Malaysia in August [GMA] but Malaysian PM Najib’s vow to defend Sabah’s sovereignty [Diplomat] probably forced both parties to postpone the meeting. Duterte announced recently that he will visit Malaysia this month, calling the visit as part of a tour of “countries that matter” [AsiaOne]. BRUNEI: And there’s Brunei, where Duterte was supposed to be on 04 September but the vist was postponed to mid-October because of the Davao Blast [Star]. Anyhow, Duterte basically managed to reassured his ASEAN neighbors that everything’s gonna be fine. This part won’t be very lengthy. You're probably already very familiar with this. I think Duterte’s late October State Visit delighted the Chinese public, as the Philippine delegation was treated in the warmest, friendliest way possible. I was there, watching the meetings and monitoring Chinese social media. I saw it myself. As I was paying for my lunch this afternoon, I overheard two guys talking about President Rody Duterte's State Visit to China. One guy said, "Oh! Duterte's here!" and the other replied, "I like that guy!" So, being the nosy me, I decided to crash into their conversation and ask them about what they think. As it turns out, they are executives of the investment banking department of China International Capital Corporation Limited (CICC), one of China's leading investment banking firms. I did a quick background check on the two guys. The guy to the left is Cornell-educated CICC investment banking associate Shuai Zhang, the founding president of the largest and most influential China-focused forum in Cornell University's history. The guy to the right is is Zhang's boss, Bagrin Angelov, the executive director of CICC's Investment Banking Department. Duterte's authenticity and sincerity has its advantages. And to top it off, the Chinese pledged $24 billion in investments to the Philippines, which is arguably the most generous offer ever given to the Philippines in any single state visit since 1896. Oh, and did I mention that a week after the visit, Chinese ships are nowhere to be seen in Scarborough Shoal [ABC]? Yes, Filipino fishermen can finally go there! But there’s one more “nagtatampo” country that we haven’t dealt with: JAPAN. Realignment Step 7: Ohayo Nippon! The overwhelmingly successful Chinese State visit probably made the Japanese very jittery, so the timing of the State Visit to Japan, which is just a few days after his China visit, is just about right. Duterte reassured Japanese PM Shinzo Abe that his deals with China are purely economic, and that no military deals were struck [Philstar], which is basically what Japan wanted to hear. The Wall Street Journal even reported that he spoke “soothingly” [WSJ], an adjective that, in my recollection, has never been used to describe Duterte’s rhetoric. You probably got the point by now. Suffice it to say, Japan was reasonably pleased and “reasonably”, given the situation at large, is good enough. These are just the first several steps in Duterte’s foreign policy realignment. The State Visit to China, while a resounding success, is just the first stage towards rebuilding PH-China ties. There are still many more things to do, things that I still do not know of, things that I have yet to understand. Heck, I don't even understand all the intricacies of the seven steps I mentioned. Nevertheless, one thing is clear: Duterte, using only his acid tongue, managed to turn the tables against the United States. The US is now on the defensive, and Goldberg’s recent interview with Karen Davila is a testament to that. In fairness, Goldberg did not explicitly insinuate any wrongdoing on the part of Senator Cayetano or Tugade. However, such a comment is in direct defiance of diplomatic protocol, where foreign diplomats are not supposed to publicly comment on such issues. I think this is plenty clear as Senator Cayetano has consequently requested the DFA to protest Goldberg’s actions [Star]. The conformity of Goldberg’s actions to established diplomatic protocol is not my concern. Instead, it is the underlying reasoning behind his words. Obama, to be replaced by either Clinton or Trump, is on the way out of the White House. Goldberg, to be replaced by Sung Kim, is on the way out of Manila [Star]. What tactical or strategic benefit is there for the United States if Goldberg manages to piss off the Duterte Administration when the former is about to leave Manila anyway? The United States is hedging its bets in anticipation of the November US Elections. One on hand, we have a lame duck president Obama who has pretty much lost his foreign influence as the international community await the results of the November 2016 US Elections. On the other hand, we have an incoming US President who will get to dictate American foreign policy for the next four (or even eight) years. Yes, I think the US simply doesn't want to look like a sissy. 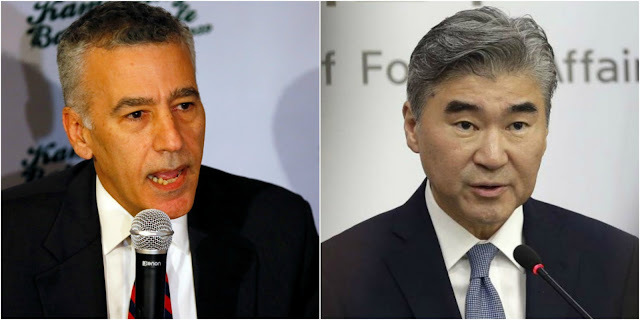 Goldberg’s belligerence towards that Duterte administration serves as a counterweight to the potentially hyper-diplomatic approach of his successor, Ambassador to the Philippines-Designate Sung Kim, who most probably knows how to massage egos given his stint as special representative for North Korea policy [CNN]. With the Goldberg controversy, the new US president can try to provide the Philippines a counter-offer without looking too weak and submissive, two adjectives that a hegemon should be allergic to. Now, Duterte said a Russia visit is “possible”, and “possible” means it’s not certain. Duterte basically dropped a clue for the Americans to pick up. That is, he is saying that his State Visit to Russia depends on how the new US president – may it be Clinton or Trump – will respond. I never knew that Duterte and his cabinet can be this shrewd, that they can be this smart. Some camps may argue that I am giving them too much credit, but remember: this is the same government that managed to avoid a Third World War [NatInt] without spilling a single drop of blood.